What if we told you that 90% of your data integration development in SQL Server could be automated? In 5 years, you will be "old fashioned" if you are hand coding SSIS packages. Today, plans to acquire new insights by adding data to relational databases are often thwarted by the realization that data integration and transformation will require a substantial amount of time and effort. This results in data insights continuing to be ignored as the enterprise data warehouse project backlog grows well beyond capacity. Developers with different skill levels and design preferences create databases and SSIS packages however they see fit to get the job done. Documentation is frequently omitted. Maintenance and small enhancements consume too much development time while manual errors and inconsistencies slip through the testing and release process. You can take advantage of tools and frameworks to rearrange the development process and alleviate these common problems. The implementation and automation of design patterns leads to improved efficiency and communication. Join us in this session to learn how to use Business Intelligence Markup Language (Biml) and Excel to facilitate metadata-driven SSIS development. We'll use database schema information plus Excel inputs to implement a small data mart from staging through the dimensional model, all in an hour! 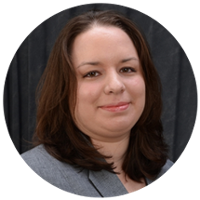 Meagan has been with BlueGranite since December 2014, offering her expertise in Microsoft business intelligence and data warehousing for technical pre-sales, solution envisioning, architecture design, solution development, training and support. She is a speaker at user groups and conferences across the country, including PASS Summit and SQL Saturday. She is also a co-organizer of SQL Saturday Kansas City, which is on-deck this fall 2016. Meagan blogs at DataSavvy.me. Creating effective data integration solutions is a passion of Meagan's and she looks forward to sharing her real-world insights with you during this BlueGranite monthly webinar. Bill is a previous BlueGranite employee. He specializes in converting data into actionable intelligence using Microsoft's SQL Server platform, as well programming languages including C#. 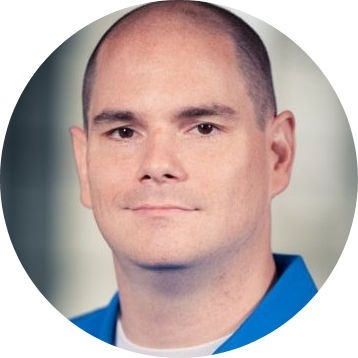 Bill is an experienced data and analytics developer and has been a SQL Server MVP with Microsoft since October 2014. He is active in the community including the Kansas City SQL User Group and SQL Saturdays.